Las Vegas is a crowded place. The lights, glitz, and glamor of our city draw crowds. 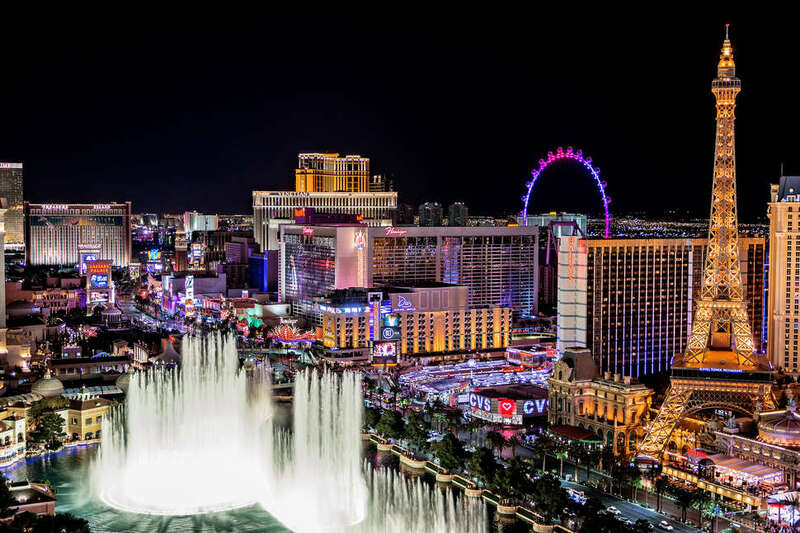 In Las Vegas’ most iconic spots, one’s view fills with people, lights, fountains, signs, advertisements, and more, all to the soundtrack of ringing bells, shouts and cries, cars on the road, music, and much, much more. That’s Las Vegas’ style — sensory overload — and minimalism has no place in it. However, when you live in Las Vegas, you know there’s more to the town than the famous strip. You also know there’s more to life than overwhelming yourself all of the time. So, when you get home and find your space crowded with too many possessions, it’s time to find a little more room in Las Vegas. Las Vegas’ glamorous take on jam-packed attractions comprises one of the best examples of “maximalism” you’ll find (just one look at the Strip will tell you that). However, the problem of having too much stuff isn’t ours alone. All over the country — and all over the Western world, for that matter — people find that they have more than they need and want. American homes are bigger than ever, yet we run out of space. Each of us owns far too many individual objects, including many disposable symptoms of our “throwaway culture” that, somehow, didn’t get tossed in the trash. No wonder, then, that so many people consider a different type of lifestyle: minimalism. By giving away possessions and downsizing, many people in Las Vegas–where the average apartment is less than 1,000 square feet–and beyond find more comfort in their space. It’s hard to relax when we’re cocooned in our own stuff, and the organizational and cleaning-related tasks that emerged from overstuffed personal spaces often becomes very stressful. Minimalism offers a straightforward answer: you just need less stuff! Go on a minimalist blog and you’ll see immaculate spaces free of clutter — and, for that matter, of anything at all! Some find that inspirational, as well as intimidating. It’s also quite unrealistic. Looking at a curated photo of a minimalist space, you might notice some strange things. Many of these people seem to live without things that most of us have, like TVs and books. Most important, they seem to have no items that they don’t use every day— an impossibility for anyone with a hobby that requires special equipment, or even for anyone who just wants to wear different clothes in the summer than they do in the winter. Where do these people put their kayaks and their winter jackets? Where are their power tools and their skis? Lucky for you, ways to clear out space when you have seasonal- or occasional-use objects that you need to stash do exist. Seek out some of the promotions being offered on self storage units in Las Vegas and tuck a few of your seldom-used (but impossible-to-throw-out) possessions there! By relying on storage for the bulkiest and least-used objects in your space, you can create more manageable organizational tasks and create a more practical form of minimalism that suits your needs, your space, and your lifestyle. You don’t live inside of an Instagram account, but you don’t have to do that to enjoy a beautiful and comfortable space. It’s possible to escape Las Vegas’ maximalism and still hold onto the possessions you can’t part with, but don’t use every day. By combining a little decluttering with smart use of outside storage and organizational solutions, you can create a soothing and properly minimalist space that feels like a refuge from Las Vegas’ jam-packed world.